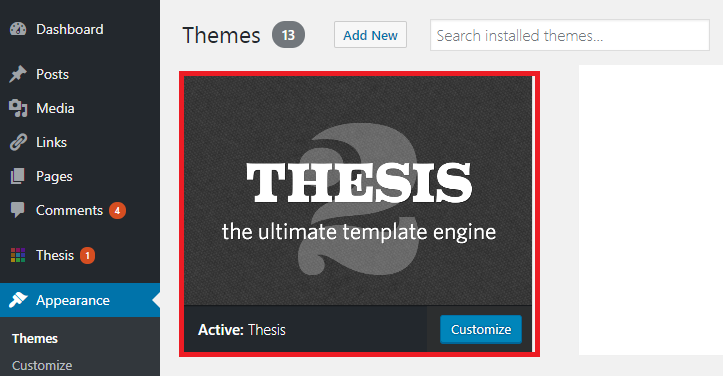 Update: DIYthemes have been actively releasing new version of the Thesis wordpress theme for upgrade. As of January 2018, this blog is using version 2.6. The tutorial below was written using the previous thesis theme versions but the upgrade steps are the same as I am using the same methods to update my Thesis themes. A. Via direct upgrade option at your WordPress Dashboard. Via the upgrade option directly available at your Dashboard after you login to your self hosted WordPress account. By clicking on “Update Now” link, your Thesis wordpress theme would automatically be updated to the latest version. php version of the site is too outdated to support the theme. a. Log in your account at DIYthemes.com. If you got the theme from someone else who had bought it, you would need to request the person to help you to download the version for you (that is why it is always a good idea to have an actual account that belongs to you if you are going to be building/updating your site or plan to build more than 1 site). The download option is under “Helpful links” at “Download Thesis”. b. Click at “Download Thesis” to download the latest Thesis wordpress theme. By default if you have not changed the setting in your computer, the file would be downloaded at your “downloads folder”. It would be a zip file. 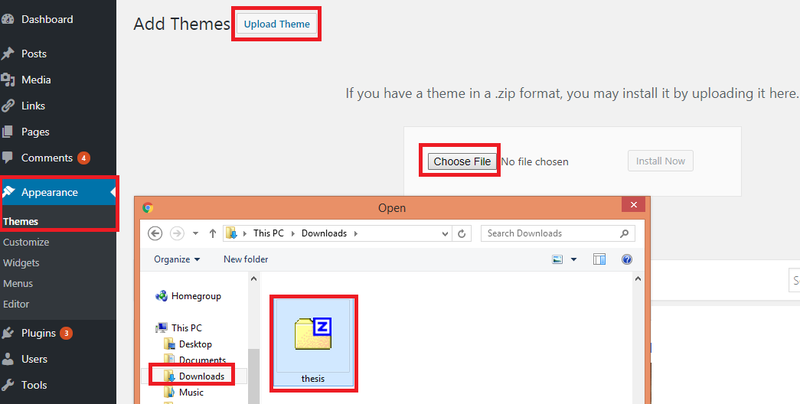 Select the Thesis zip folder that you have just downloaded. Then click on “Open” at the pop up folder. You would see the file name called thesis.zip being listed. Click on Activate and your new Thesis theme is updated. By default, the Classic Responsive Skin will come pre-installed with your Thesis wordpress theme.